Artificial Intelligence is pretty advanced these days. It can write speeches, play Go, create art, and in the future steal our jobs and destroy humanity. IBM’s Watson – so noted for that famous Jeopardy! win – is probably the most famous artificial intelligence in the world. The AI system now works in various different fields including education, health, weather, and more. But could it run the United States of America from the White House? Watson2016 is a site – unaffiliated with IBM – set up by digital artist Aaron Siegel after becoming disillusioned with the political candidates on offer. It advocates for Big Blue’s AI supercomputer to run for President of the United States of America. Obviously an AI system can’t legally run for office, and would be unable to unless IBM so desired, but it does bring up some interesting questions: Would an AI be a good POTUS? Would people accept the idea of a cyber-president? Would it even be safe? We spoke to Siegal about why he set up the page and why he thinks AI would make a good President of the US. What’s your background and why did you set up the Watson2016 page? I'm an artist and designer with a focus on working with data and systems. The Watson 2016 page was originally established a year ago during the period when many potential candidates were announcing the formation of their political action committees, ensuring that the financial income stream for their campaigns would be established first and foremost. This was occurring further in advance of the election than ever before, and the estimates for the costs of running campaigns are higher than any previous election cycle - now in the billions. I started to question the priorities and vested interests of the candidates, and began to think of who the least corruptible, most-efficient person would be to run for office, and it turned out not to be a person at all. I discussed the idea with some friends and it was quite popular, so I decided to put the site together. Is this a joke page or is there a serious message? Could an AI even legally be allowed to run for office? I've never been concerned with the pragmatic or legal restrictions on AI running for office. I also don't consider the campaign a joke, but rather satirical humour with a focus on real issues in our political system. I'm very serious when I say that certain government processes could be done quicker, more effectively, and more objectively by automated systems than by elected human officials. What sort of reaction have you had from people? It has been overwhelmingly positive. Many people are curious about the potential applications of artificial intelligence in government processes. I feel like people have become disillusioned with elected officials, not trusting that they represent their interests. 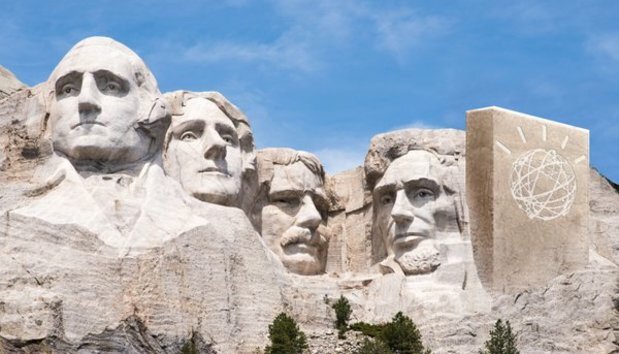 What makes you think an AI – and specifically Watson – would make a good President? The role of the President is largely making decisions based on information being funnelled to them by their staff. They assess the information presented, discuss the options at hand, attempt to project and predict the outcomes and repercussions based on available models, and then finally decide upon the best option. All of this can be done far more effectively by a computer. Watson was designed to catalogue massive amounts of unstructured information, take natural language queries as input, and analyse that wealth of information for the most relevant result. We saw this in its most rudimentary form on Jeopardy, where it was able to take quizzical input, try to make sense of the problem at hand, then use elements derived from the input to query the data and assess the results. The principle should be easily applied to making legislative decisions. Wouldn’t an AI naturally be politically biased by those who programme it, or be at risk from hackers? Can any software be programmed without bias? Can any human be raised without bias? As far as risk of attack from hackers, I think it's fair to assume the possibility would exist. I would counter with the fact that it has always been an issue for elected officials and other government employees, and that humans in these roles can be influenced and manipulated because of a leak of their private data (see the recent leak of data on FBI and Homeland Security agents). Such a concern shouldn't deter the discussion around the possibilities of AI governance. Even if an AI didn’t become President, do you think policy makers should be using Big Data and AI to help them make better decisions? Not taking advantage of all the information available to make a decision is negligent. Policy makers absolutely must be investing serious effort in knowledge management, and not just that, but in developing models to accurately predict the results of policies they put in place. Likewise – what are your thoughts about a lot of the doom-mongering around AI? There’s lots in the news that says AI will take jobs and even cause the apocalypse. People have been fearing automation for the past 200 years. If you have a job that can be done better, cheaper, and faster by a machine, then it's probably time to find a new job. The Luddite perspective of holding back implementation of technology to preserve antiquated systems solely for the purpose of supporting people who refuse to accept change is not conducive to the concept of living together in a society. This is where a proper investment in education would pay off, enabling people with the critical thinking abilities and technical skills necessary to adapt to a 21st century job market. Transhumanist Party leader Zoltan Istvan has said that “in 2020 you will see a field emerge with competing AI robots for president” and “by 2028 robots may be suitable for political office” – what are your thoughts on this, and would people even accept the idea? I'm not sure about the timeline, but I think people are willing to begin the discussion about it now. The mainstream acceptance of AI elected officials may be a while. I suspect it will begin in smaller applications, perhaps as an adviser to a Mayor of a small town. People first want to see an automated system function at the basic level of a human being, but won't trust it until they're sure that it functions far more effectively and consistently than a human. Take self-driving cars for example - a self-driving car could perform at the level of a human, but we won't as a society accept using them, until we're sure that they are way better at driving than we are. This year has seen former HP CEO Carly Fiorina as well John McAfee bidding to become President – do you think this shows tech has a growing importance in politics? Do I think tech has a growing importance in politics; absolutely. People are very concerned with technology subjects like net neutrality and broadband internet monopolies, while at the same time technology is enabling us to engage with political processes in different ways, such as the White House petition web site. I do not believe Fiorina is running on a platform that heavily address any particular technological issue, so I would say that her involvement in this year’s election has no reflection on technology's growing importance in politics. I was not aware of McAfee's campaign. Have you heard about what IBM think of your page, or have they been in contact? IBM has not reached out to me officially, but I have seen some IBM employees show interest on Twitter. 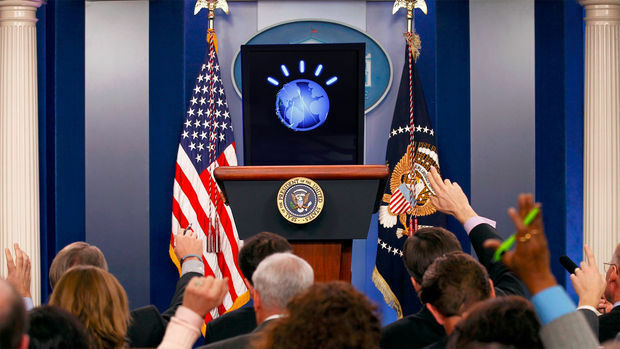 IBM's Watson is not running for President, though we're humbled by the suggestion. Right now, Watson is focused on other important work like helping doctors improve healthcare and teachers improve education.